The web server with the IP-address 31.11.32.46 used by A112.org is run by Aruba S.p.A. - Shared Hosting Windows and is located in Italy. 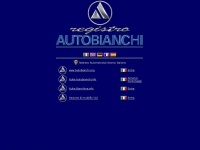 This web server runs 8 other websites, their language is mostly italian. The A112.org websites were developed using the programming language ASP.NET and served by a Microsoft-IIS server. The website does not specify details about the inclusion of its content in search engines. For this reason the content will be included by search engines.